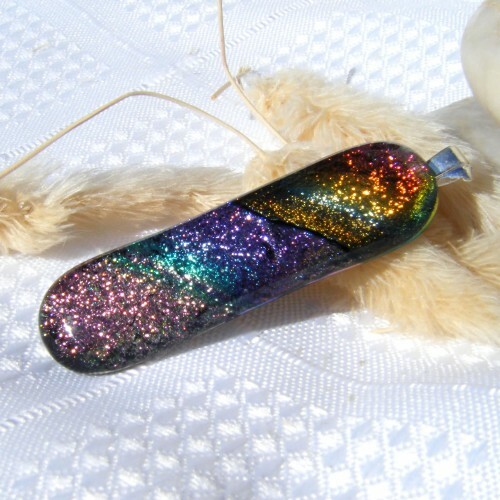 Size 3.5cm x 1cm. 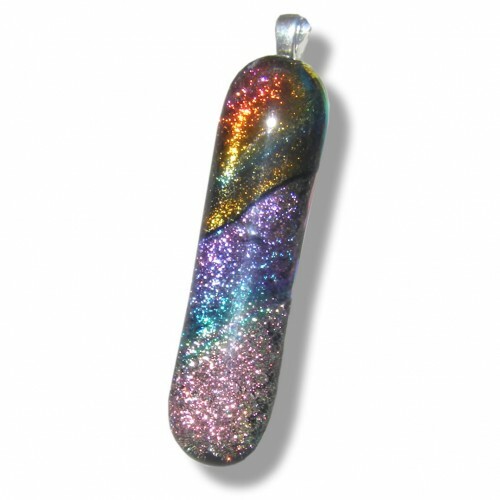 This handmade dichroic glass pendant is a celebration of colour! 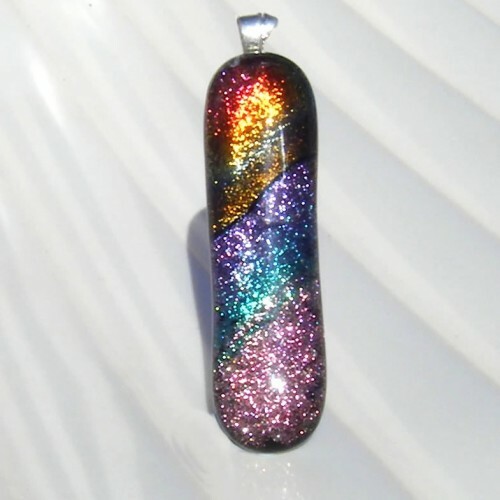 I call the colours Rainbow Surprise colours because there are so many and some are in a happy freefall of colour. 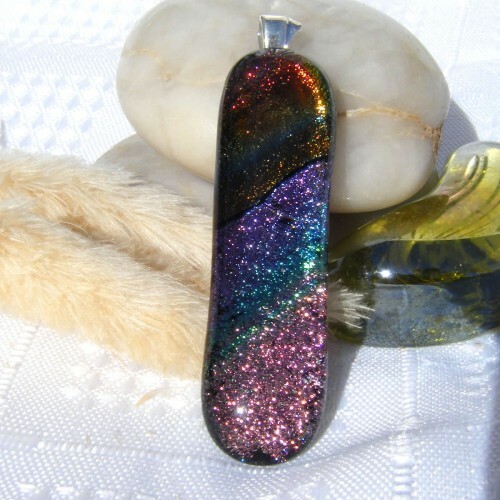 The background glass is an opaque black which helps the dichroic colours to stand out. 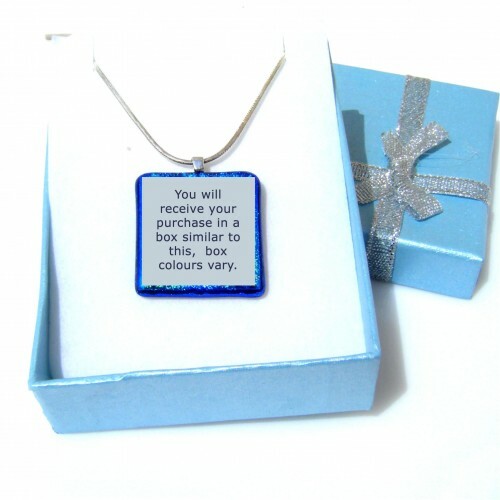 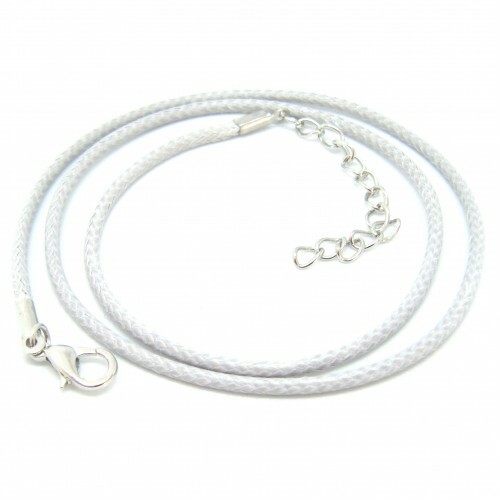 Complete with silver coloured extendable cord necklace and pretty gift box.